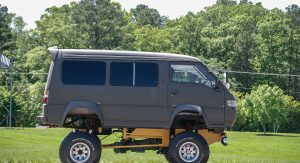 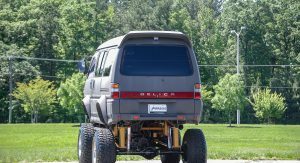 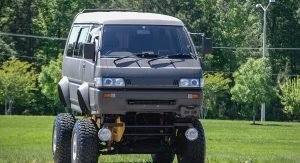 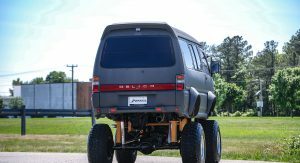 Vehicular oddities don’t come much stranger than the Mitsubishi Delica, particularly those outfitted with numerous off-roading components and rugged looks. 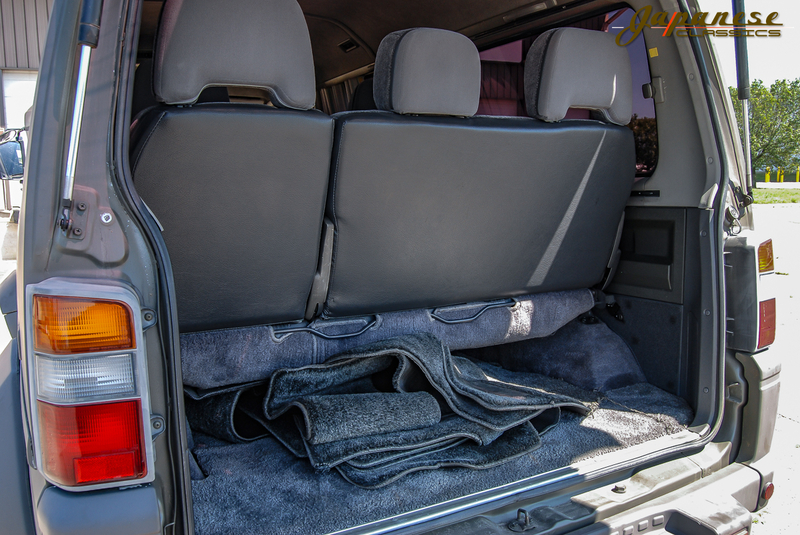 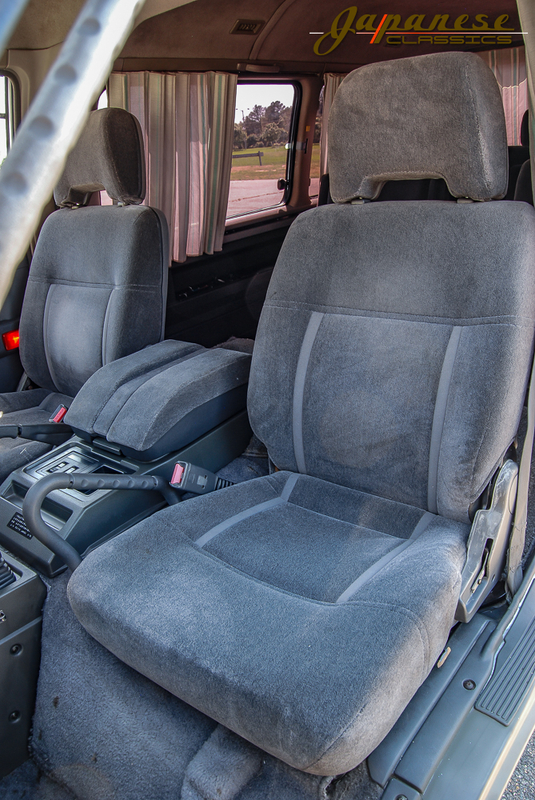 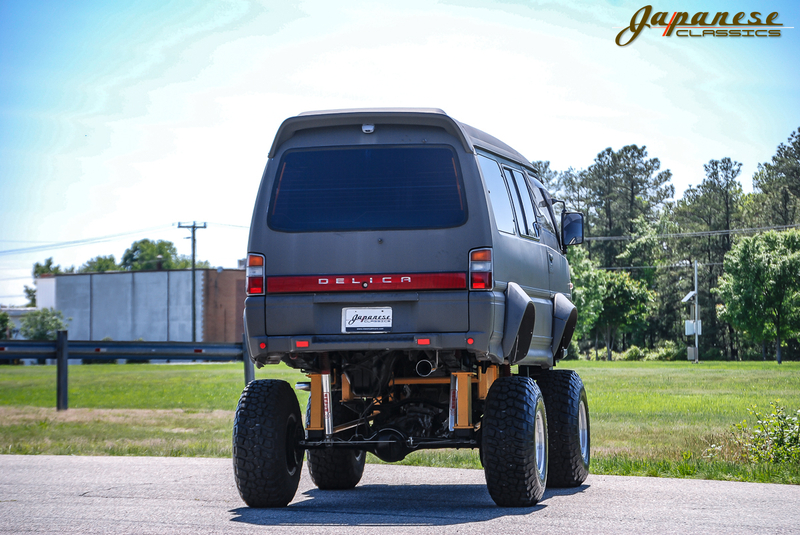 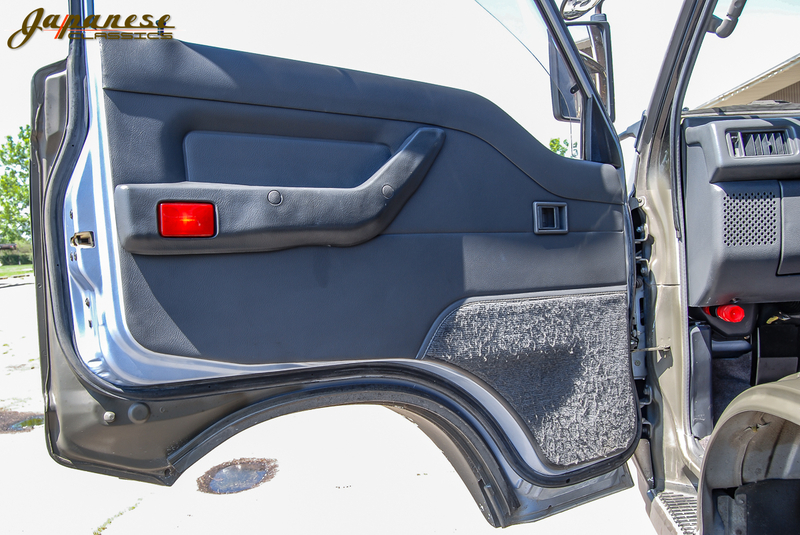 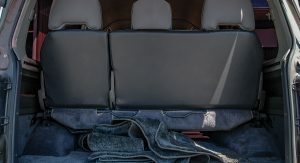 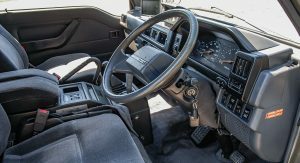 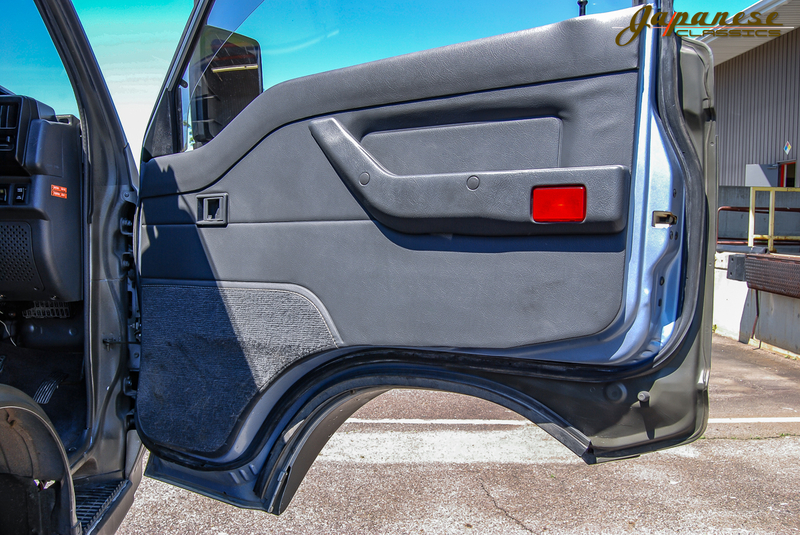 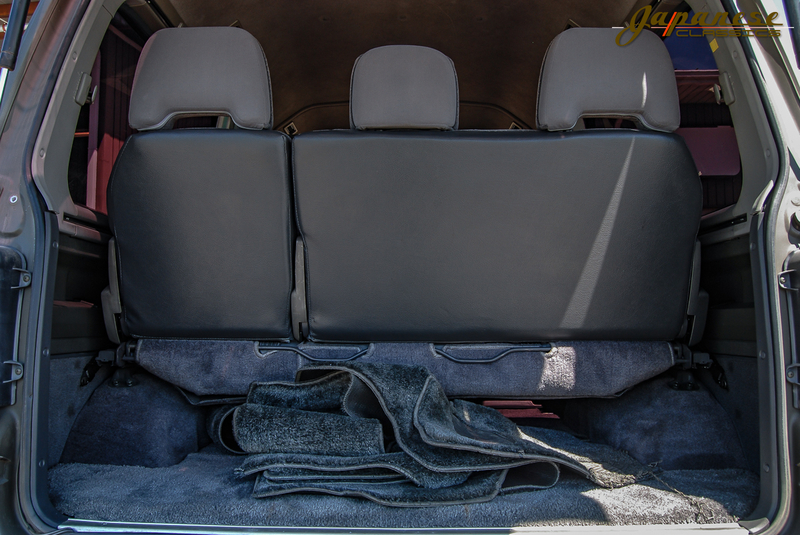 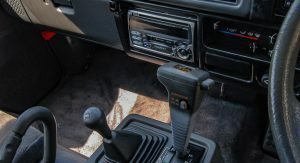 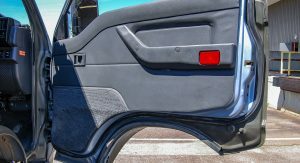 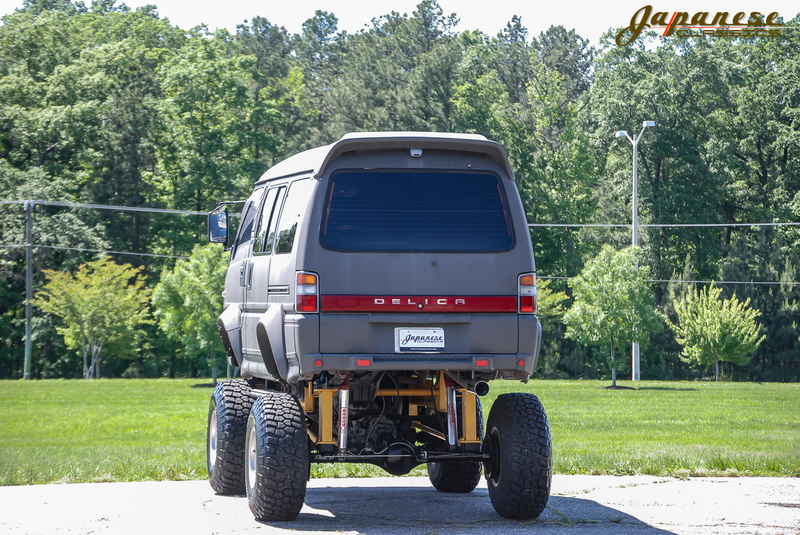 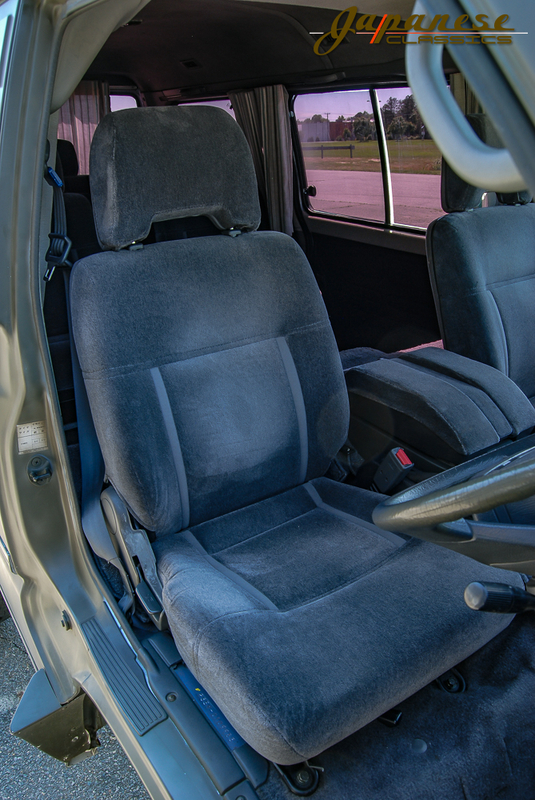 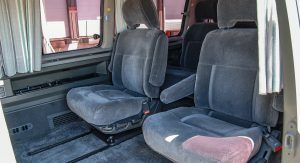 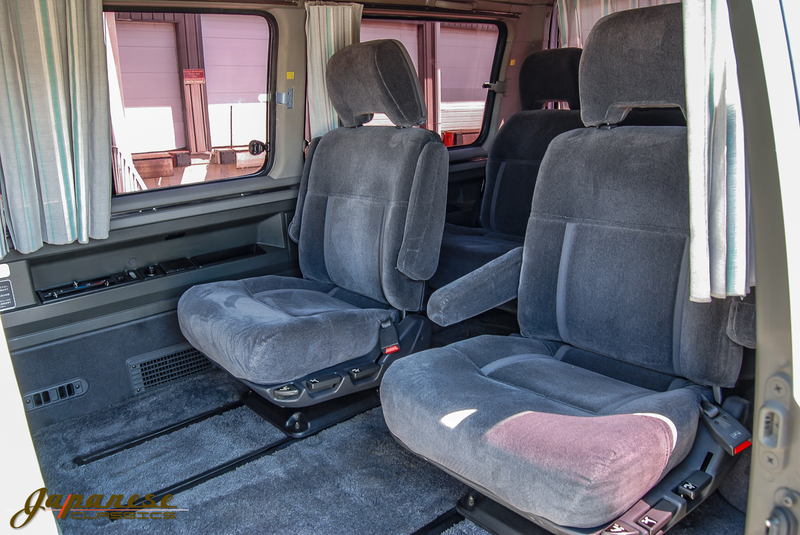 In production since 1968, the Delica has been offered in numerous forms from simple work vans through to those fitted with large tires, wheels and jacked up suspension systems. 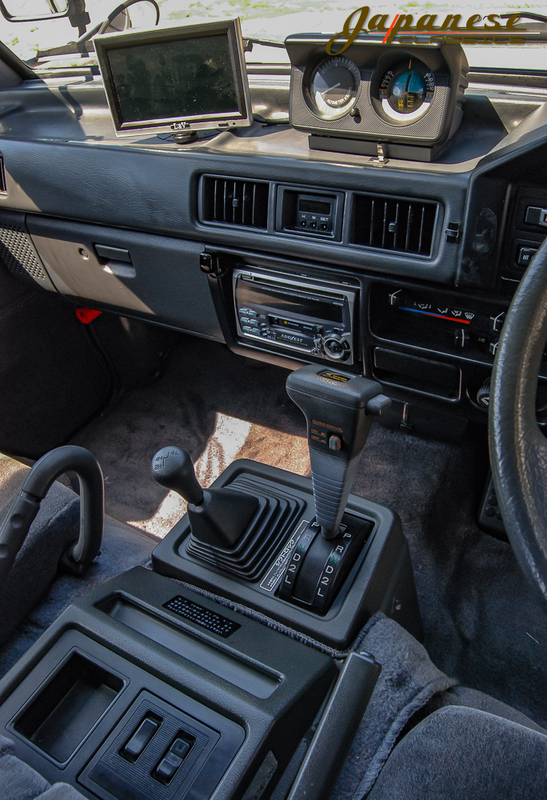 All are fairly dull and uninspiring. 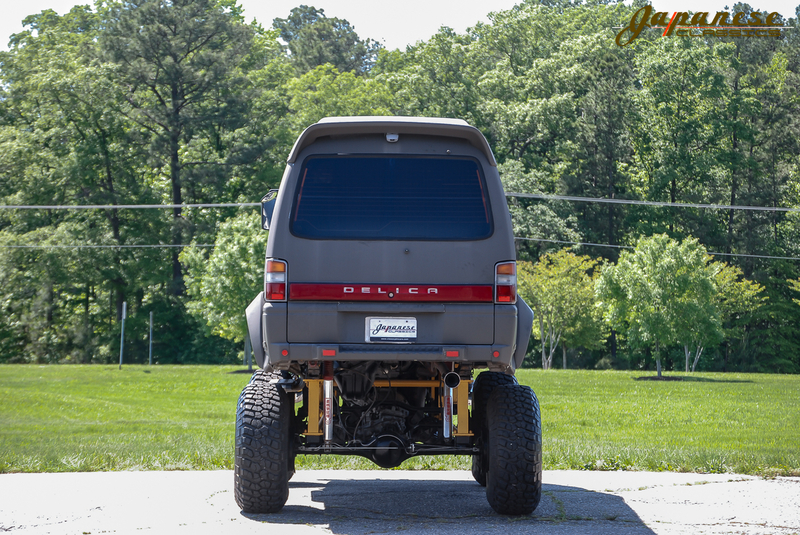 The following Delica is different. 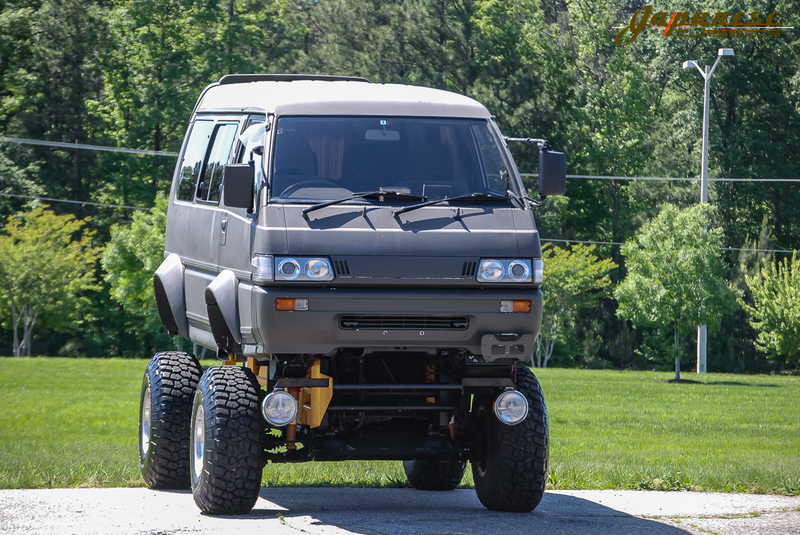 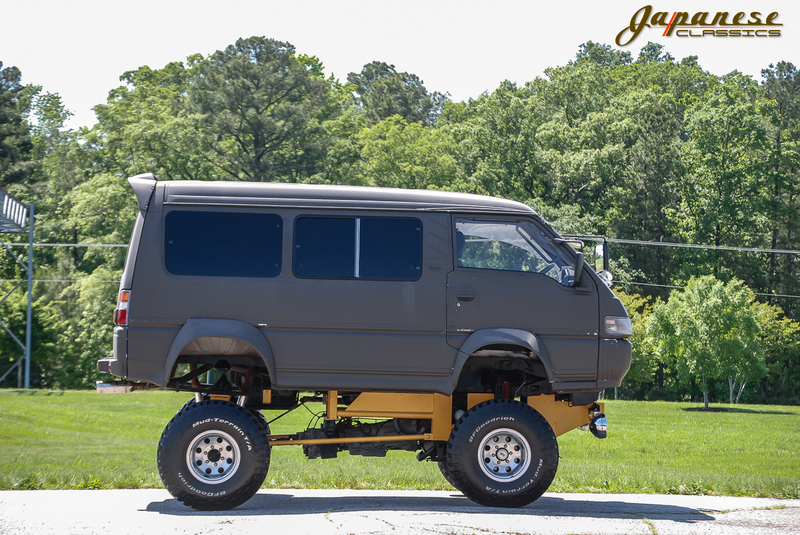 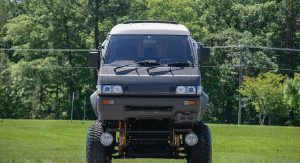 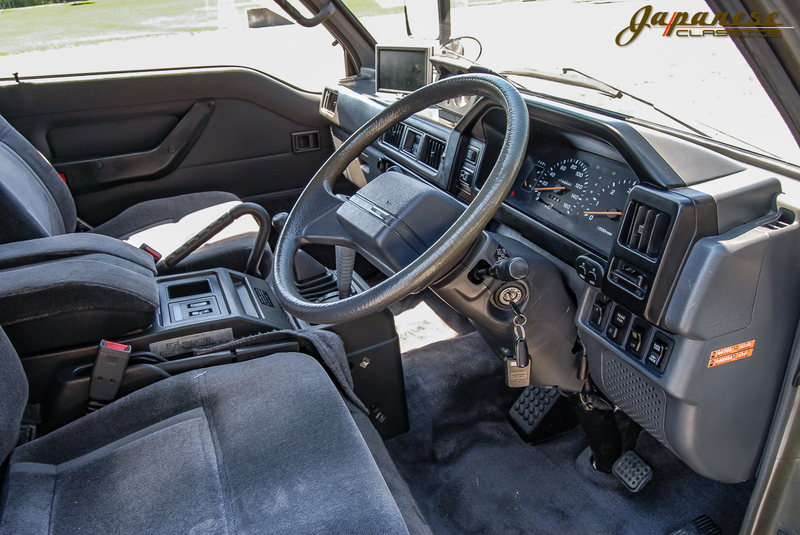 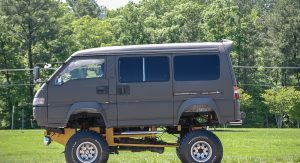 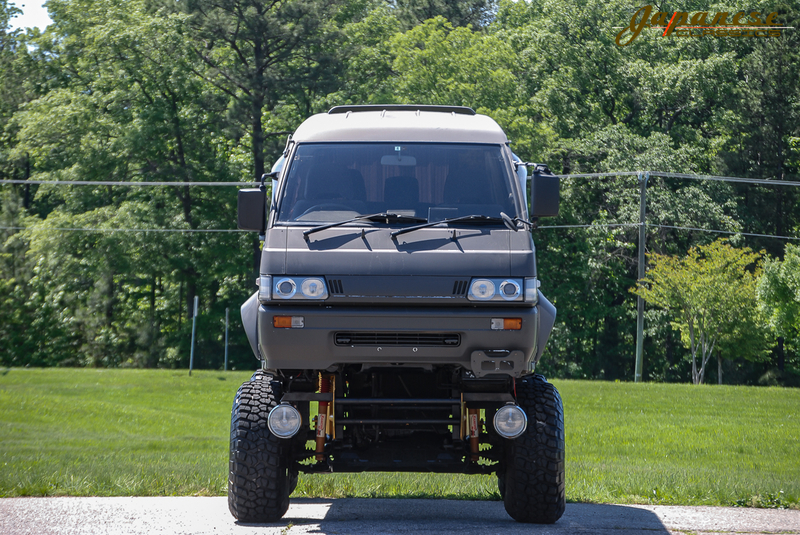 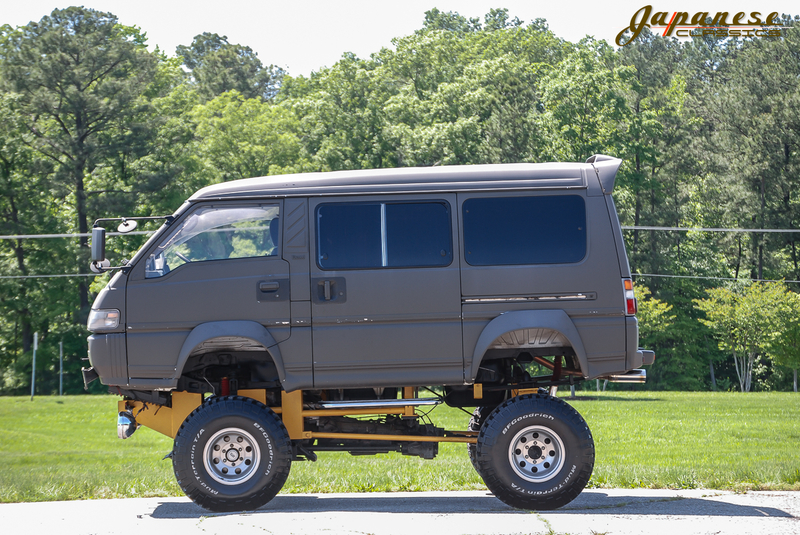 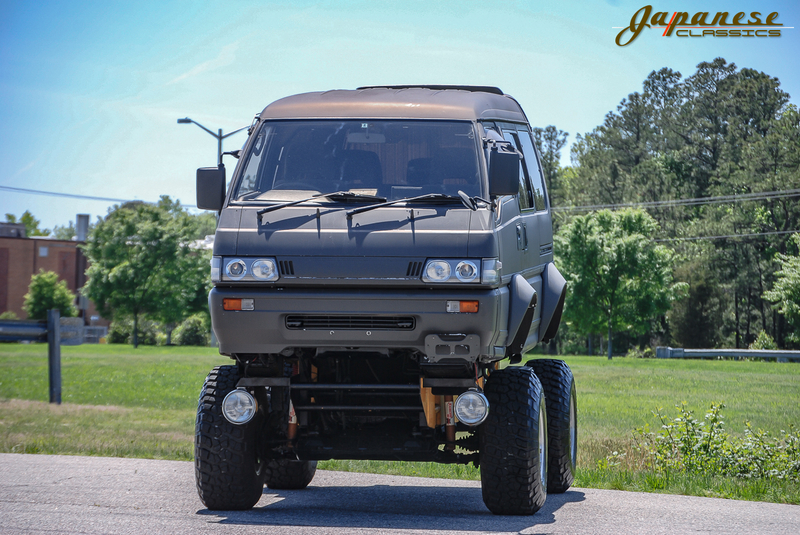 This 1991 example is currently up for sale from Japanese Classics in Richmond, Virginia and has been jacked up so high that it is essentially a monster truck. 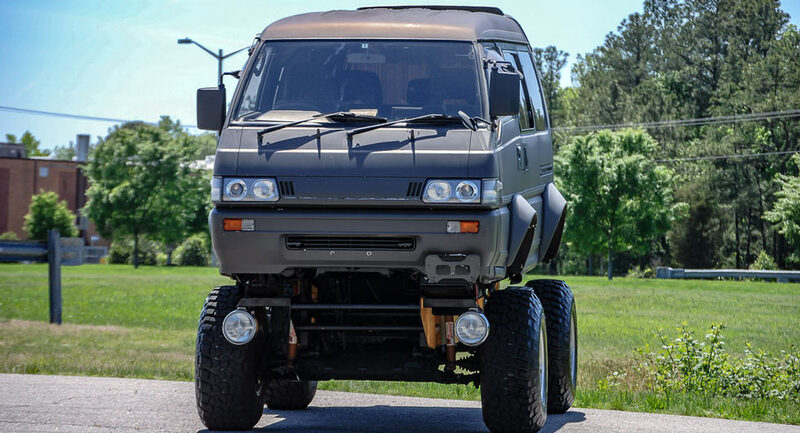 That look has been achieved with a 15-inch body lift, a 2-inch suspension lift and 15-inch wheels installed with huge BFGoodrich tires. 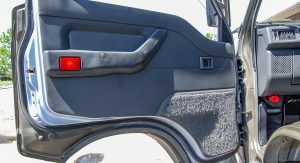 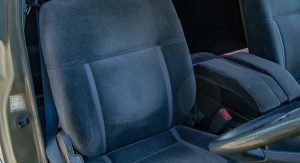 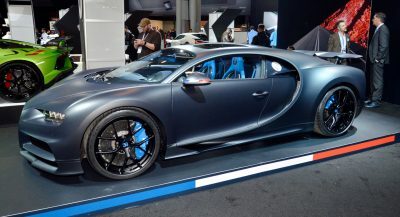 Additionally, it includes a matte paint finish and tinted side windows to give it that real go-anywhere look. 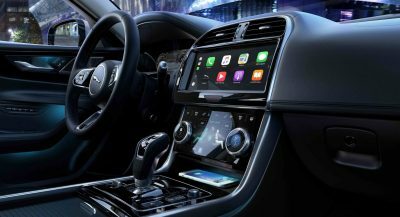 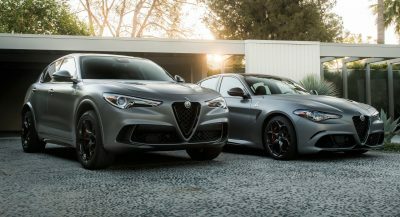 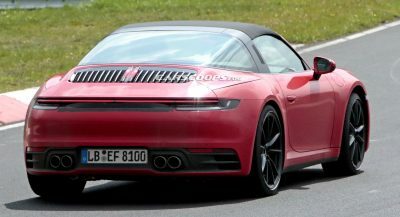 Beneath the body, it is powered by a 2.5-liter turbodiesel engine mated to an automatic transmission that sends power to all four wheels, obviously. 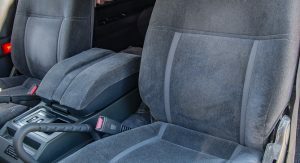 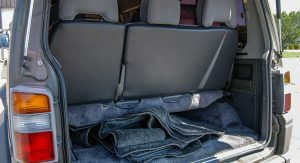 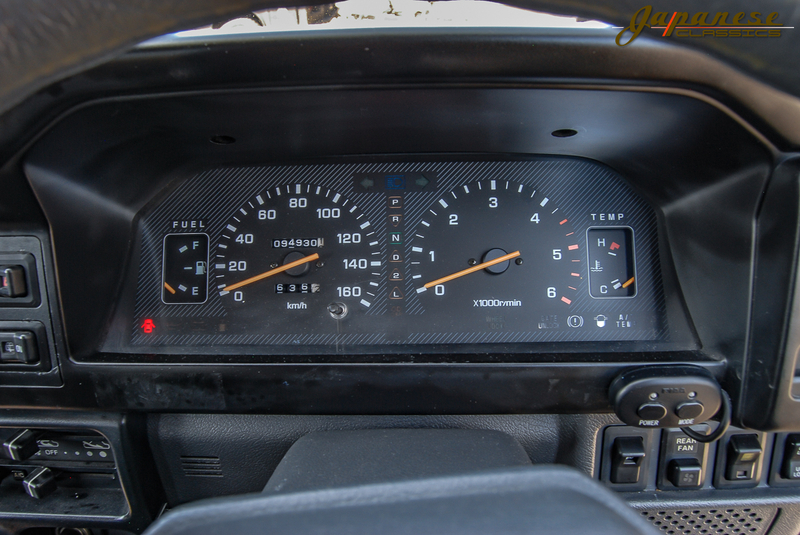 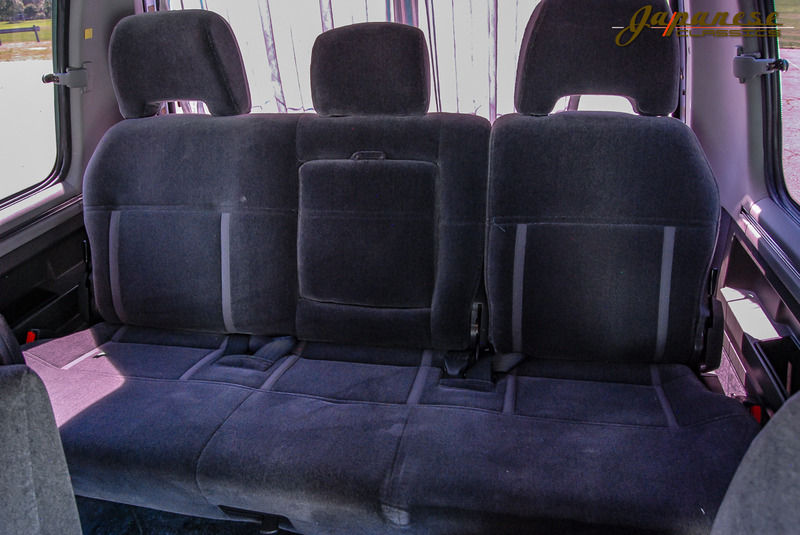 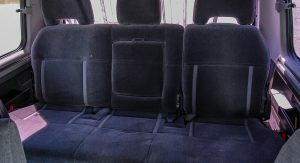 The vehicle has an asking price of $9,495 which doesn’t seem overly excessive for all the work it has undergone. 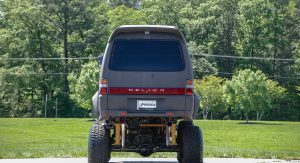 However, the listing notes that the lift kit means the Delica isn’t street legal. 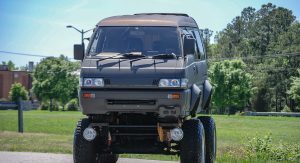 I wouldn’t dare to take a corner in this thing. 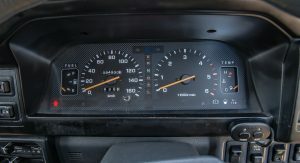 Previous PostPrevious Can The Honda Civic Type R Outrun The NSX With A 5-Sec Head Start?